Basically, from August 1st to 31st of August, for every KD 4 purchase from Johnson’s or Neutrogena or Clean & Clear you qualify for a Scratch Card with the chance to win “Gold”. I guess since it’s the only product on the flyer, it’s safe to assume these Hydrogel Technology Masks are the reason for the whole promo, but I can’t say for sure. 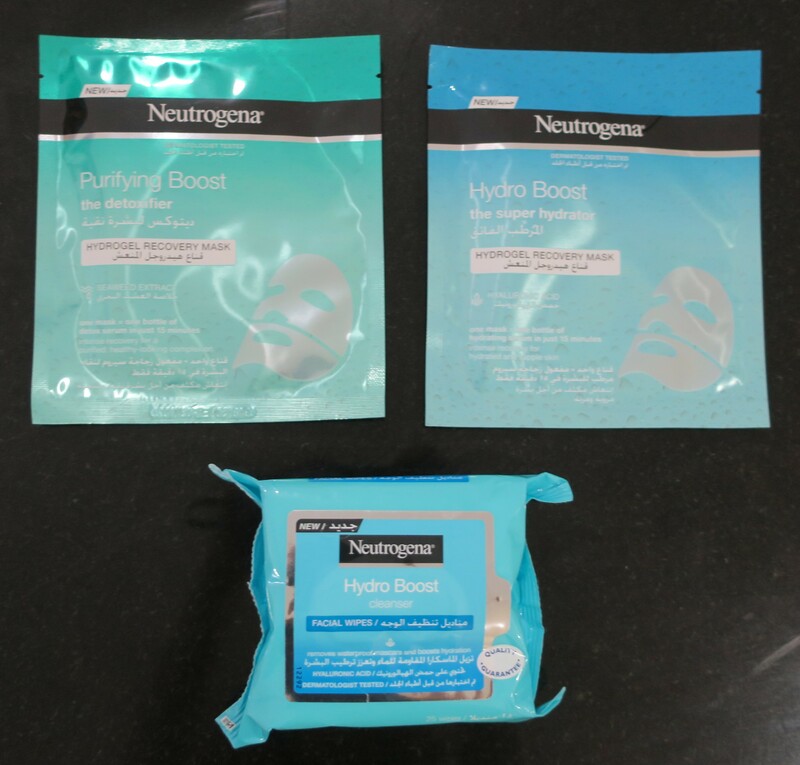 The Neutrogena Hydrogel Masks are available in Hydra Boost – The Super Hydrator (blue) and Radiance Boost – The Illuminator (red) and Timeless Boost – Fine Line Smoother (purple) and Purifying Boost – The Detoxifier (green). The Hydrogel Face Masks retail for exactly KD 0/825 a pop. 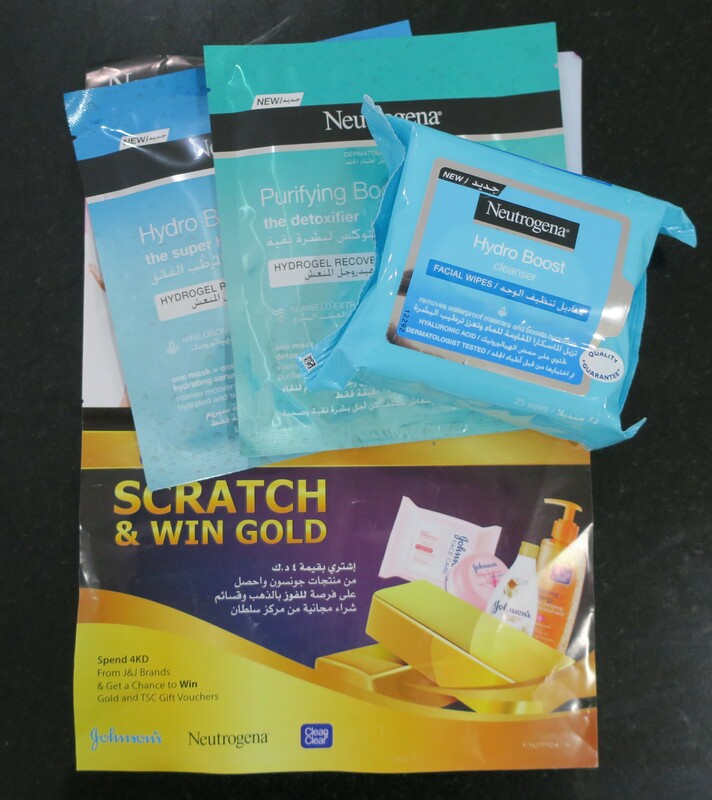 I picked up these 3 Neutrogena items from the display (as shown here) but it seems you can mix and match items from Johnson’s and Clean & Clear as well, to qualify for the Scratch Card. You get to pick your Scratch Card then and there (with your receipt in hand) from the Information Counter which is what I did. I scratched my card (which was all in Arabic… not cool, guys. Why you excluding people who don’t read Arabic?) and won… *drumroll please* KD 1/000. Technically, I won a Gift Voucher (to be used at Sultan Center) that amounted to KD 1/000. 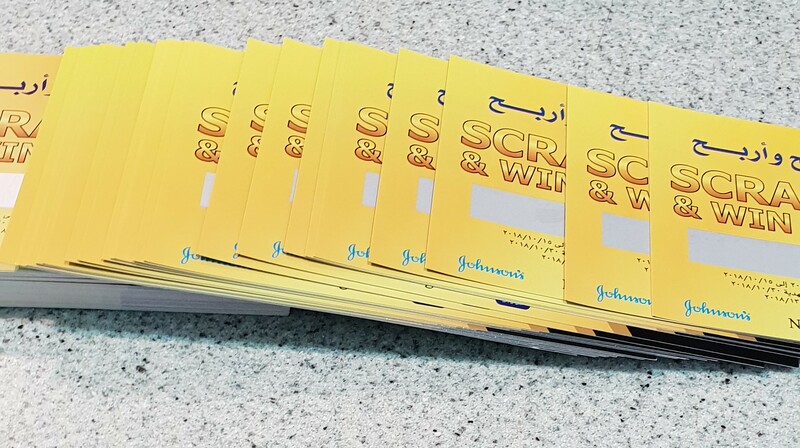 Something I found confusing was at the bottom, also in Arabic, it read that the Scratch & Win Promo began on July 15 and would end on October 15, but the last day to pick up your “winnings” would be October 31st. However, the guy who handed me the Gift Voucher said it was valid for a whole year. Not that it matters because it’s only worth KD 1/000, but I’m just letting you know in case you win, like, a car or something, ya’ need to ask. Also, not sure why it says August 2 on the Gift Voucher because all this actually went down on August 18, but whatevs. Out of all 4 Face Masks, I chose Purifying Boost – The Detoxifier (green) because I spotted the word Seaweed on the packaging (I love Seaweed Skincare!) and the Hydra Boost – The Super Hydrator (blue) because my skin has been super dry lately and could use a bit of moisture. 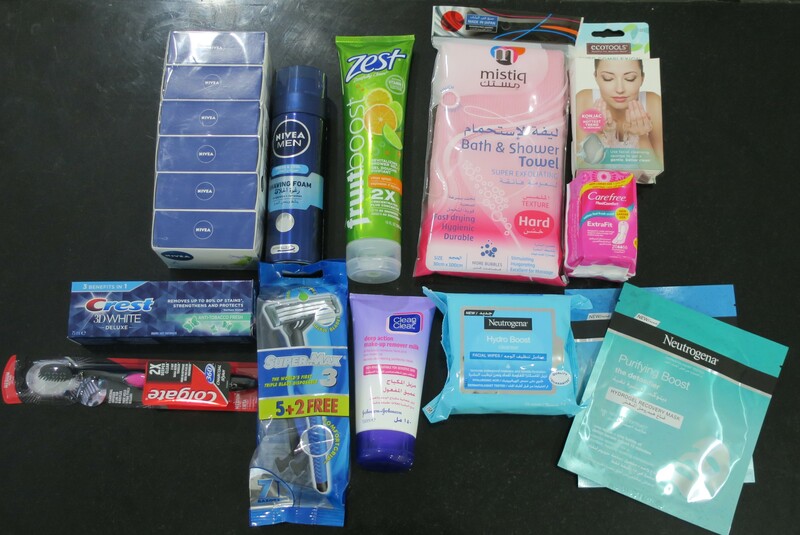 I wasn’t interested in any of the other Face Masks so I picked up a pack of Makeup Removing Wipes also from the Hydro Boost range, which helped me to qualify for the Scratch Card. Made from a unique 100% hydrogel material, the Recovery Masks are packed with skin-perfecting essences, the equivalent of an entire 30ml bottle of serum. This delivers one month’s intense serum recovery, in just 15 minutes. For added ease, the sheet mask is split into two parts, with separate sections for the upper and lower face, clinging smoothly to the contours of your face, focusing on areas that require the most moisture and nourishment. I know, I know. Their claims that slapping on one of these Hydrogel Masks (for 15 mins) is the equivalent of an entire 30ml bottle of serum… sounds unbelievable. However, I choose to believe! .. or at least give it a shot before I pass judgement. I mean I’ve always enjoyed Face Masks, of all kinds, but Sheet Masks especially (well, the ones that fit properly) so as far as I can tell, this is a win, win and win! There is no downside here. I’ll let you know how it goes once I get around to actually using them. Forget moisturisation, start thinking hydration. 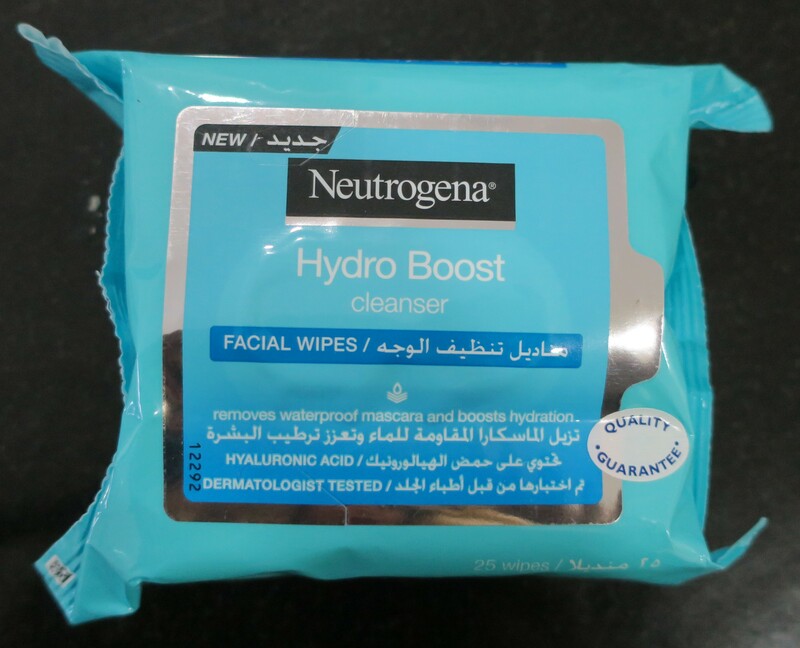 NEW from Neutrogena® Hydro Boost® is our hydration wipes for your complete hydration regime. For skin so hydrated and supple, it bounces back. New Hydro Boost® Cleanser Facial Wipes are soft wipes with a fresh cleansing lotion to instantly remove makeup and impurities, even waterproof mascara while quenching skin with a boost of vital hydration. For the record, there’s actually a whole range of Hydro Boost products. I’ve actually been meaning to order the Hydro Boost Eye-Refreshing Gel Cream and the Hydro Boost Water Gel Moisturiser online (via Drugstore.com or Amazon) since forever, but I’d always happen to have another Eye Cream or another Face Cream open at the time, so I’d hold off, making a mental note to do it next time, which obviously never happened. 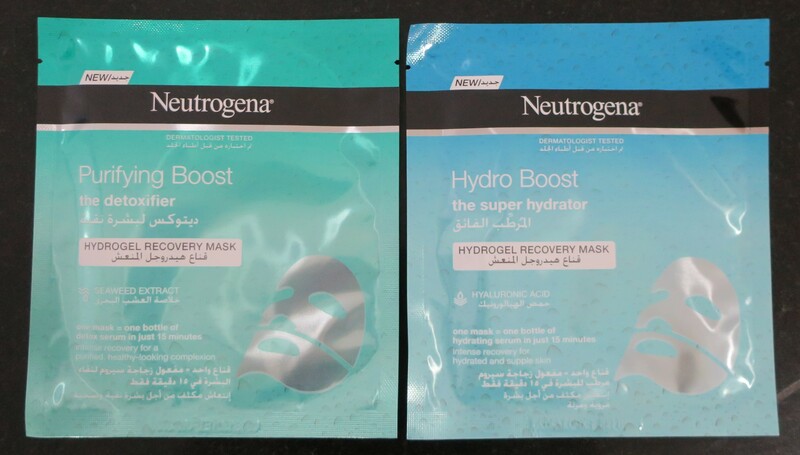 Couple years later, I notice the Neutrogena Hydro Boost range start popping up in Kuwait, which is pretty suh-weeeet! This stuff is my all-time favorite Makeup Remover and I’ve actually written an entire blog post about it (here). Unfortunately, it only seems to be available in Arab countries, for now. I finished up the Lancome Galatéis Douceur Gentle Cleanser For Face and Eyes (haulage here) and I’m currently working my way through The Body Shop Aloe Calming Cream Cleanser (here), so it’s been a minute since I’ve had the Clean & Clear Deep Action Make-Up Removing Milk. As soon as I spotted it (here), my heart started longing for it, making it difficult to walk away from the stuff. Plus, I’ve had enough of sub-par products for the time being, and would like to go back to my tried and true favorite, so I did. It seems that they’ve changed the name … yet again, but it’s the same stuff. Holy Grail product right here, folks! This is the most expensive thing in this entire haul lol I like how it says “Hottest Trend in Skincare” on the packaging. I mean sure, it was a “trend” years and years ago, but now? Not so much. At one point, every single brand had their own version of the Konjac Sponge, that started with high-end Skincare brands, eventually leading Drugstore brands to come out with their own less expensive copy. My first Konjac Sponge was actually from Boscia (online purchase, directly from their main website) years and years ago. I’ve got several annoyingly gentle Face Scrubs (I prefer extra grit, the rougher, the better) so I figure this Konjac Sponge could help with that. Plus, it’s been a minute since I’ve used one of these. I love these 360 Charcoal Toothbrushes from Colgate!!!! Initially, I only purchased the first one because it had Charcoal in the name. However, after using it, I’ve become completely obsessed! I love the tiny bristles in particular! I’ve purchased these babies in Blue (here) and Orange (here) and Gold (here) and now Pink! You need to try it! Same with this stuff. My current Shaving Foam (exactly the same as the one shown) is still pretty much full. However, I always find myself running out of the stuff at the worst possible time ever. I prefer Shaving Foam to Shaving Gel, specifically the ones from Nivea (For Men) and have actually written up an entire post on this stuff earlier (here), if you’re interested. Generally, I tend to buy the Gillette Blue II Disposable Razors (For Men) in bulk (review here), but picked these up on a whim. When I’m not Waxing, I’ll play around with Razors targeted towards Women from time to time, but for the closest shave ever, Gillette Blue II Disposable Razors (For Men) are my tried and true favorites! I spotted a whole bunch of these Exfoliating Towels in Soft and Medium and Hard and Stripes earlier (here). First of all, they’re Made in Japan! Second, they’ve won some sort of Invention Prize! Third, their tagline is literally “less soap, lots more lather“, which I’m all about! Their other claims such as “stimulating, invigorating, excellent for massage” is something that can be found on almost all of these loofah-type exfoliating back-scrub thingies (even the useless ones), so I didn’t put much worth to them. I like how they’ve got a diagram on the back that explains how to shower for you know, people who don’t already know to shower lol Anyhow, due to all the blather on the front, I was sufficiently intrigued, especially since my previous one, Aqua something or other (haulage here) was a total fail (made me go through shower gel twice as fast and still barely had any lather, to the extent that at first I blamed The Body Shop Shower Gels before finding the real culprit). As I said in my previous post, anything after that is a step up. Obviously, I had to get the one in Hard (the rougher the better). Recently, I’ve become increasingly annoyed by the scent of most of my Shower Gels and Shower Scrubs. In fact, all of the Shower Gels from the Tutti Dolci (haulage here) come across as cloying and perfume-y to me, including my beloved Sweet Lemon Buttercup. I tend to enjoy sweet, candy-like, gourmands (always have, always will) but during Summer, those can be a bit… much. That’s why I literally listed “Lemon-y Shower Gel” on my Shopping List in my ColorNote App (mentioned here). From what I remember (remember, remember, the 5th of November) my first Bubble Bath ever was something lemon-y from Zest. I distinctly remember being able to open my eyes underwater and Zest Bubble Bath or whatever getting in them, and feeling absolutely nothing (no sting, no nothing)! Plus, it had such a pleasant, lemon-y, somewhat masculine fragrance! Best of all, it left no residue whatsover, which might sound like something weird to take note of, but some of my more recent Bubble Baths (I say recent but honestly now that I’m older, I get skeeved out by baths, bubble-y or otherwise) always leave a “hydrating” residue which is a pet peeve of mine. I spotted an entire display of Fruitboost Shower Gels from Zest, facing the check-out counters. There were other scents such as Strawberry Kiwi and Very Berry and Pomegranate Acai Berry and Peach Mango, but I went with Citrus Splash because it smelled sublime (get it? sub-lime) like… Skittles! Also, these Fruitboosts supposedly last for x40 Showers! Plus, they contain Vitamin C! Everyone needs to try these. They smell divine! This is probably my millionth time purchasing them (in bulk) and I’ll continue doing so for as long as they keep making them. I only wish the actual soaps were slightly larger. I only picked up a single bar the first time and was completely smitten (here) which is why I picked up a 6-pack (calling it a 10pc pack mistakenly) the second time around (here) and more recently again (here). I say again, you need to try this stuff! I’ve always loved Seafood and I’ve been craving some Caviar for a minute now. I hit up every other co-op in the country (well, those that were on my way) for some Caviar, to no avail. Heck, half the time, nobody who worked there even knew what I was talking about. To be fair, in my attempts at describing the stuff, I’d sorta’ resorted to referring to it as “Fish Eggs” (which is essentially what it is) which can be confusing, I guess. 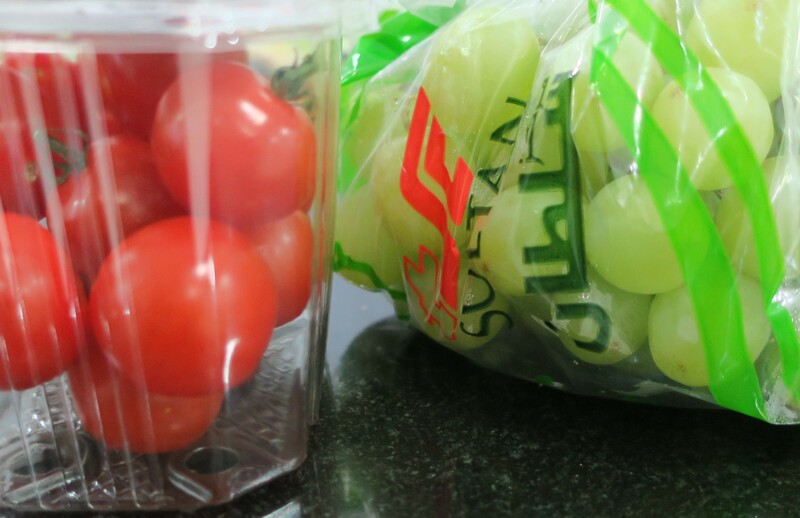 Once I found myself at Sultan Center, I made a mental note to pick up a jar of the stuff on my way out (because it has to be refrigerated), which is exactly what I did. It’s not to everyone’s taste but I personally love this stuff! I love Green Grapes! These are perfect for when I’m craving a little sugar but nothing overly sweet like actual candy! What’s more, is that these are seedless too! I love all Tomatoes, indiscriminately! However, Cherry Tomatoes are quite versatile. Chopped in half, they’d make a wonderful addition to your home-made salad (eww salad), or served with some cheese or even on their own they’d make a yummy snack! In the interest of full disclosure, these particular ones are slightly more tangy than the Cherry Tomatoes that I’m used to so I won’t be repurchasing this particular kind. I’d run out of Potato Chips (well, I’ve been living on Pufak for a minute now and I was craving something more crunchy) so I picked up this handful. 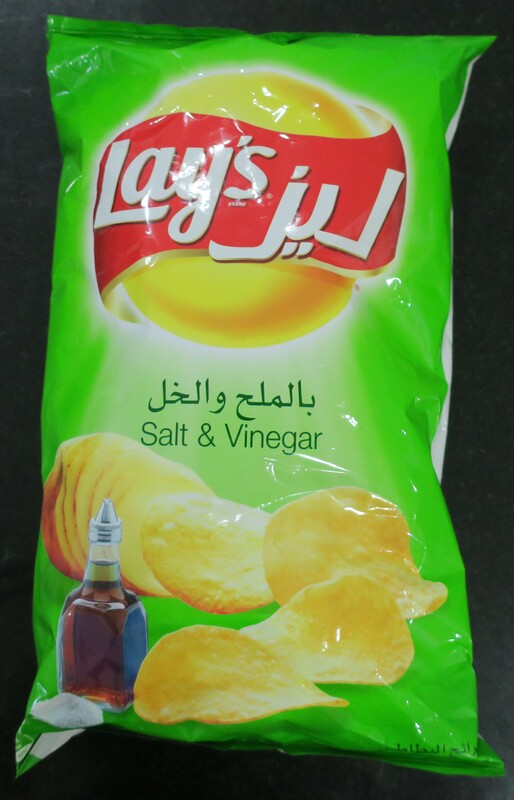 Back in the day, Sultan Center used to make their own Tortilla Chips (in-house brand) which I used to gorge on with some Old El Paso Chunky Tomato Sauce (Medium). I’m pretty sure it’s the same kind that they used to serve at Sultan Center (the restaurant… which isn’t confusing at all… lawl). In fact, I believe that one supplied the other. 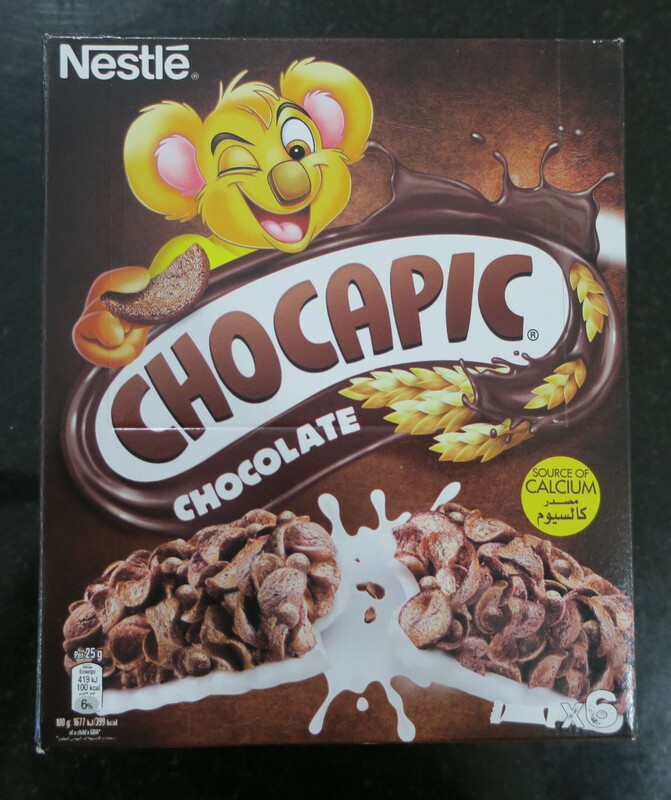 However, for whatever reason, they’ve stopped selling them and now I can’t find anything remotely similar. These Santitas Tortilla Chips seem like the closest I’ll ever come to finding a “dupe”. My friends kept yelling “Cultural Appropriation!” (as a joke) when they saw me with these Santitas Tortilla Chips (due to the packaging) because everyone seems to have turned into a delicate little snowflake, as of late and apparently everything has been deemed “Cultural Appropriation”. Anywho, I like that there’s a little recipe for Chilaquiles (…?) on the back. After looking at the ingredients, it occurred to me that I’ve already got everything I need to make Chilaquiles! 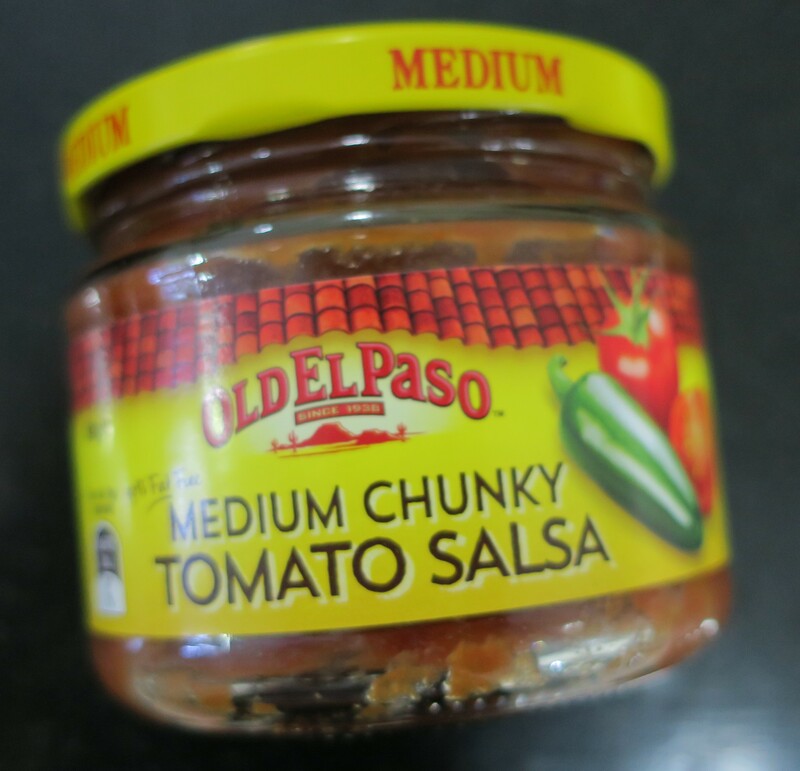 That said, I’ve already inhaled the entire thing along with both jars of the Old El Paso Chunky Tomato Sauce (Medium). When I’m craving something salty, this stuff really hits the spot! 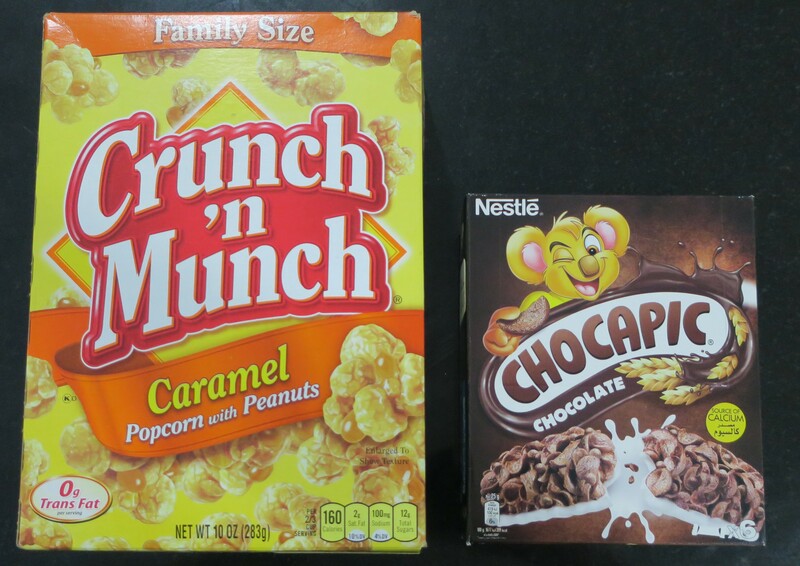 I go through these phases where this stuff is all I wanna’ have, for months on end, but then I’ll get sick of the stuff and avoid it for a certain duration of time before craving it all over again and the cycle continues. It’s good on it’s own but especially delicious with some fresh Garlic-Infused Labneh (which I used to have all the time during my stay in Lebanon). More recently, I’ve taken to dipping it in Ranch Powder mixed into Yogurt. It smells like death but the taste is worth it! 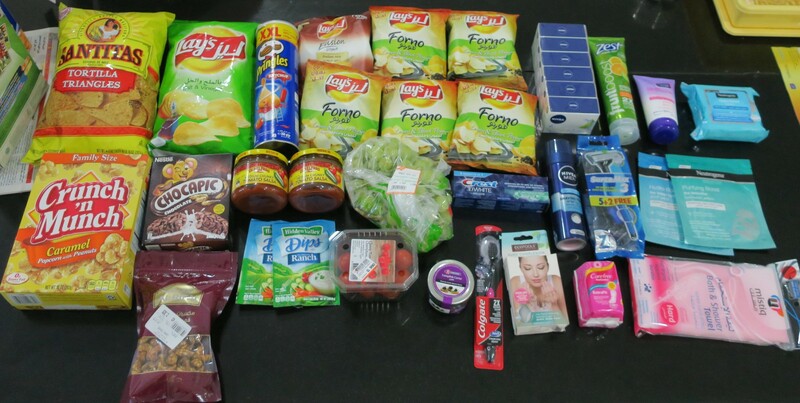 Ever since I grabbed a small thing of the stuff (here), my affection for Ketchup-Flavored Pringles has been rekindled! This stuff has become my go-to (my right hand lol… oh wait, ewww Drake) for some late-night snackage! It’s a little sweet, a little salty, a little crunchy and perfectly yummy! Man, it feels like it’s been forever since I’ve had these! I actually wrote an entire blog post solely dedicated to them (here)! At one point, I literally hauled 24 all in one go (people were staring) because they’re just that good! 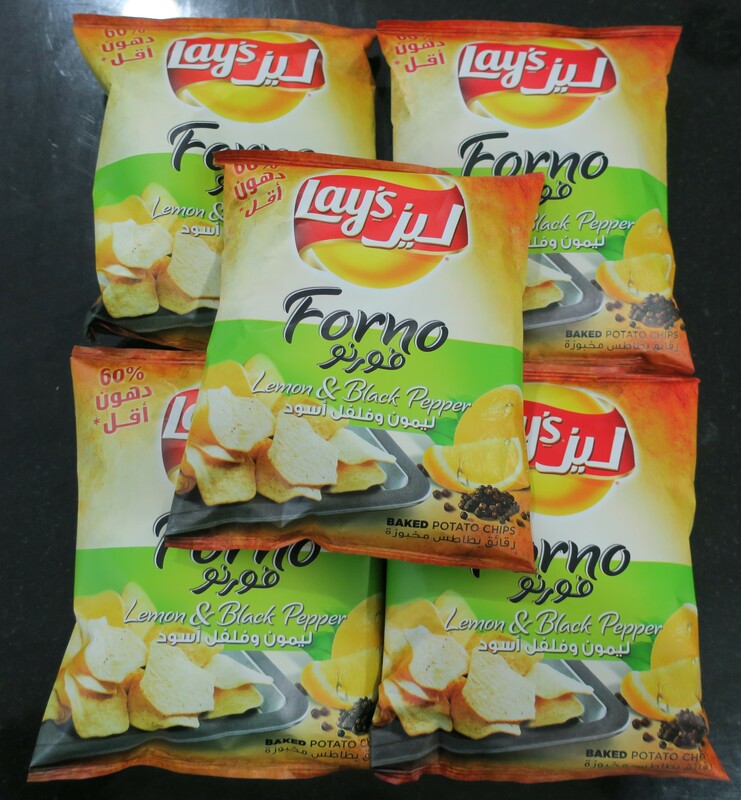 I’m not sure if it’s because I got them in the larger size the next time around (haulage here) or if it’s because of the location (the Shuwaikh branch was a dump) but they didn’t taste as good and were actually stale! After that, I noticed that even the smaller ones tasted somewhat off (last haulage here), which was why I refrained from purchasing them again. Also, the fact that they weren’t available for purchase lol Now that they’ve resurfaced, I grabbed a handful in the hopes that they might be as good as I remember (or better)! I had an inkling that this stuff wouldn’t taste all that nice, but I was willing to give it a try, which is why I picked up just the one. You’ve got Baked Potato Chips and Sun Dried Tomatoes and Oregano Chili. On paper, this stuff sounded awesome! The texture (which was exactly like the Lemon & Black Pepper ones) was great! It even had that sweet, almost lemon-y aftertaste, also just like Lemon & Black Pepper flavor. Unfortunately, the actual taste left a lot to be desired, as expected. 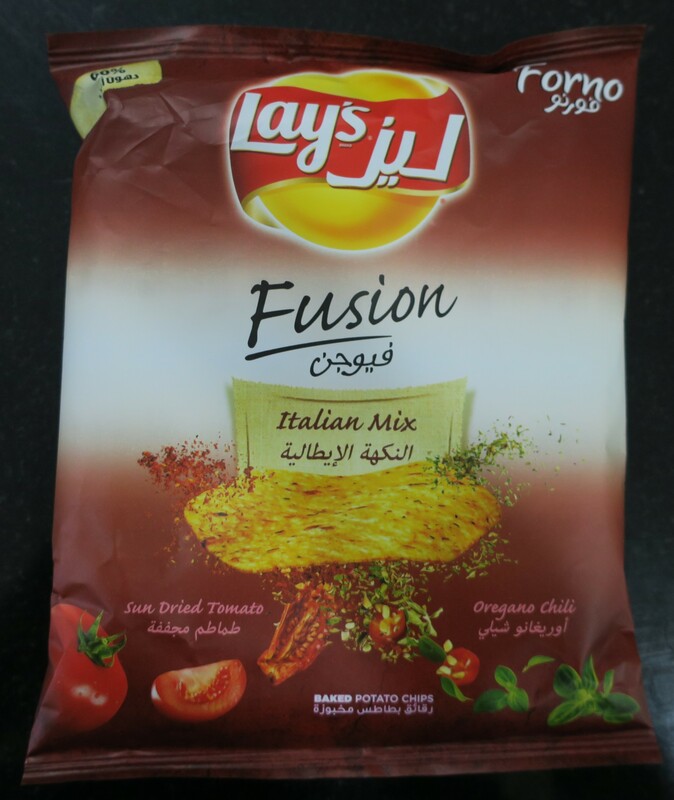 I knew better than to try out any of the “Fusion Mix” ones, but I just kept seeing them everywhere and rather than avoiding them and always wondering if they’re any good, now I know for sure (they’re not). Another tried and true fave, I’ll usually up-end some into my favorite blue bowl and grab a huge thing of Tortilla Chips and a can of A&W Root Beer (to wash it all down, ‘cuz this stuff is hot) and plop down in the middle of the living room. 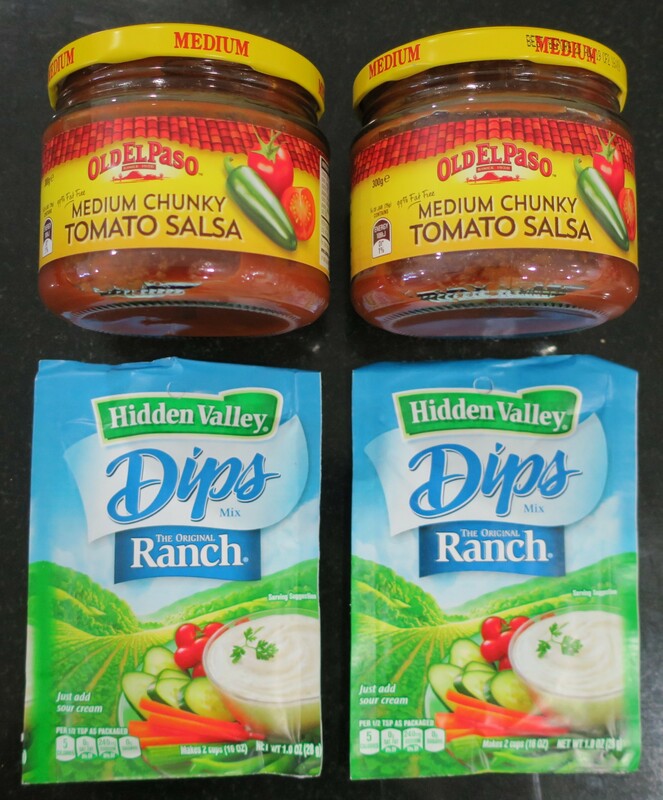 Anyone entering or leaving the house (through the living room) spots me munching on this stuff, grabs a chip and dip it into the sauce with the intent of having just the one, but end up plopping down right next to me! Friends, family, nobody can resist this stuff! That said, they all seem to turn up their nose at Root Beer (which is why I buy the stuff in a pack, to share, as I don’t drink after anyone else, ever, because I don’t want to), because they claim it tastes like cough medicine (whatevs, more for me). It’s so addictive that you really can’t just have one! Hot is way too extreme for me. Mild seems tasteless. Medium however is a happy medium lawl You don’t have to designate this stuff for dipping. You can use it for Pizza or other dishes that warrant the use of Tomato Sauce such as Chilaquiles (she says with confidence, as if she even knows what those are)! As I said, Old El Paso is my tried and true favorite, but when I can’t find it, I will stray… from time to time. Also, these jars are next-to-impossible to open! I just pour half the Ranch Dip Mix Powder into a Yogurt Cup straight out of the fridge, mix them all together, and enjoy it with Lay’s Salt & Vinegar Potato Chips, or whatever else is on hand (for example, Carrots). Again, my bestie was the one that introduced me to this stuff so all credit goes to her. I never would’ve even glanced at it, if not for her! Sadly, this stuff is always out of stock so I rarely ever stumble upon it. I came across a pretty generous stack of these that happened to be available in Caramel (which is the one I got) and Toffee. 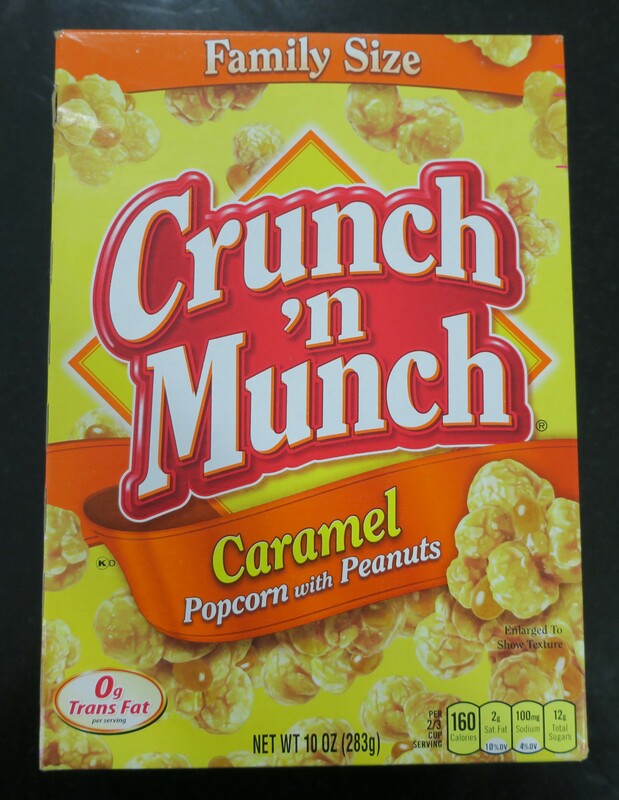 I’ve never tried Crunch’n Munch before but I did enjoy the pack of Orville Redenacher’s Poppycock Cashew Lovers Gourmet Popcorn, even dedicating an entire post to it (here) so I’m hoping this stuff will be just as yummy! I mean, they’d better, because I picked up the Family Size (to share with my brothers when we’re watching Survivor). 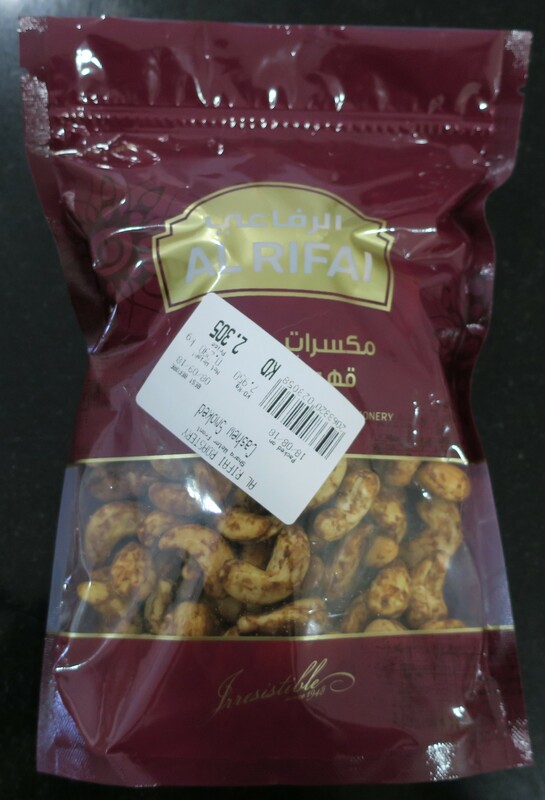 Of course, I had to make quick stop at the little Al Rifai Roastery stand and pick up some Smoked Cashews. I tried branching out (she says with a straight face) by giving the Smoked Almonds a chance (haulage here), but I much prefer the Smoked Cashews over everything else any Roastery has to offer. Case in point, I’ve dedicated an entire post to Smoked Cashews (here)! This post was supposed to go up much sooner, but like I said earlier, my internet has been acting up lately for some reason. Anyways, hope you enjoyed this post! Have a blessed Eid! … or if you’re not Muslim but are currently residing in this area of the world, I hope you’re enjoying the Eid Holiday! … or if you’re not a Muslim and you happen to live in a non Muslim country, I hope you’re enjoying your week!